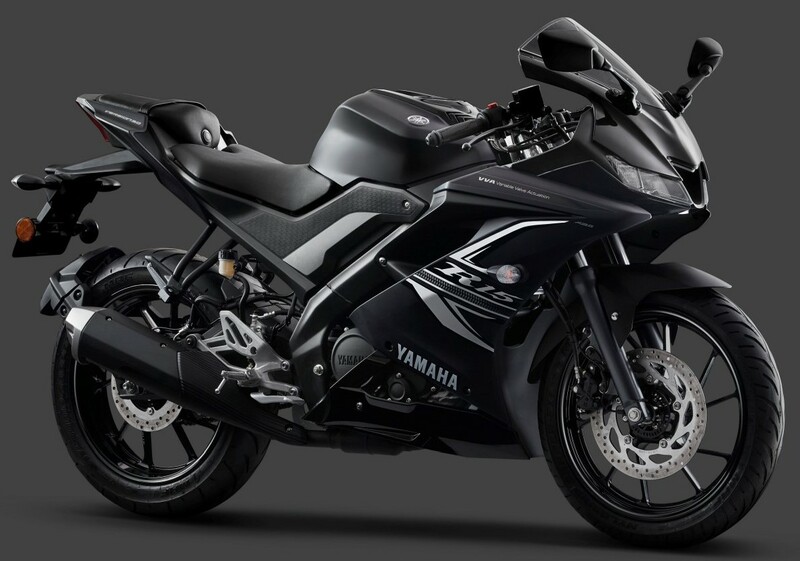 Yamaha R15 V3 Darknight Edition is definitely the most good looking variant for dark theme sportbike fans. The detailed video review by Dino’s Vault for the typical colour variant has shown the beauty in the most detailed possible way. The 282mm disc brake on the model comes with a black ABS ring while only front fairing shows a hint of gloss on the matt black shade. The side comes with chrome stickering like other Darknight variants and Dino is seen testing the brakes on regular road speeds. 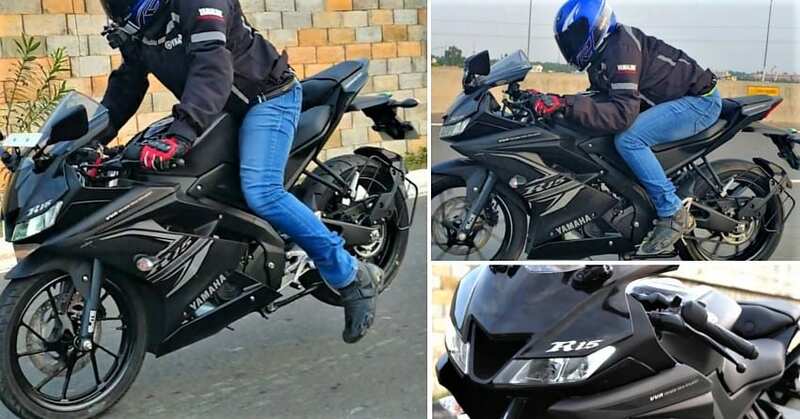 The motorcycle takes just 1.9 seconds to reach standstill from 64 kph, with a slight lift of the rear wheel. Fans can also have an idea of the amount of bend that needs to be taken to reach the handlebar for a complete tuck-in position. The rear seat of R15 V3 Darknight Edition is well wrapped within the black panels, looking better than other two shades for sure. The winglets are not that prominent on this shade and thus, a sleeker looking side profile is achieved on the Darknight Edition. 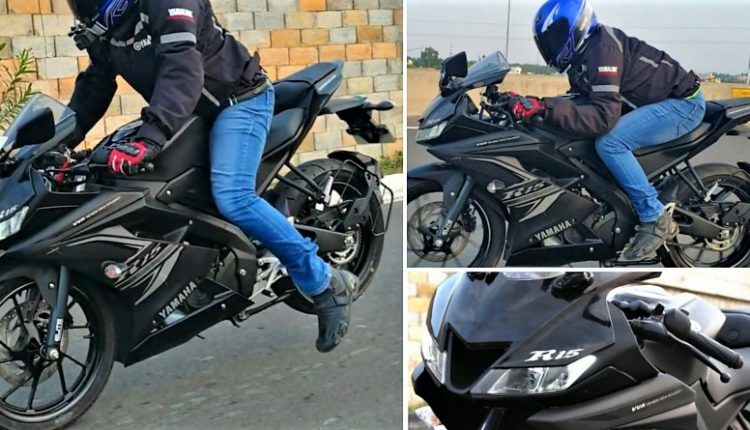 The motorcycle is powered by a 155.1cc, single cylinder engine, producing 19.3 HP of maximum power and 14.7 Nm of torque. 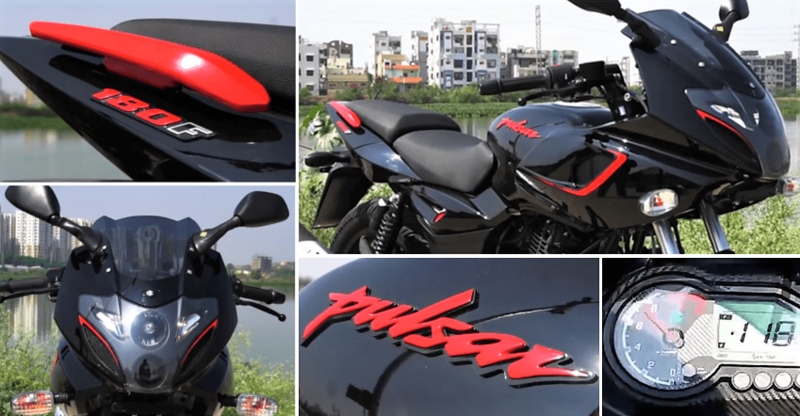 The motorcycle is equipped with 2-channel ABS and it is priced at INR 1.41 lakh (ex-showroom).